RLS now looks forward to getting the opportunity to present its patent infringement claims against Conex to a jury. Patented RLS press fittings replace the manual process of brazing in high-pressure HVAC and refrigeration applications. RLS LLC (“RLS”) is pleased to announce that Judge Reagan of the U.S. District Court for the Southern District of Illinois denied Conex Universal Limited’s (“Conex’s”) motion for summary judgment in RLS’s patent infringement lawsuit (Case# 3:18-cv-00125). RLS filed its lawsuit on January 22, 2018, alleging that Conex infringes claims of U.S. Patent Nos. 9,145,992 and 9,638,361. The patents are related to RLS’s innovative and award-winning crimp fittings. RLS alleges Conex’s B MaxiPro fitting is covered by claims of the patents. Conex filed a motion for summary judgment of non-infringement on August 8, 2018. Judge Reagan rejected Conex’s arguments and denied its motion on December 13, 2018. As a result, RLS will now have the opportunity to present its patent infringement claims to a jury in East St. Louis, Illinois. Trial is scheduled to begin on September 23, 2019. RLS is a subsidiary of Marmon Holdings, Inc., a Berkshire Hathaway company. RLS designs, develops, and manufactures its patented RLS® Press Fittings engineered for high-pressure connections in the air conditioning and refrigeration industries. 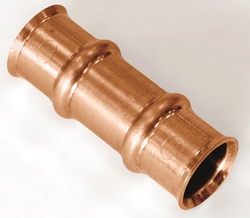 By replacing the time-consuming and demanding conventional practice of manually brazing copper joints, the RLS® Press Fittings allow for faster, more consistent connections and reduce total installed cost while enhancing safety. RLS owns patents and pending applications around the world directed to its fittings. For more information, visit RLS’s website at http://www.rlspressfittings.com and http://www.rlspressfittings.com/patents. RLS has also partnered exclusively with Parker Hannifin Corporation, allowing Parker’s Sporlan Division to offer RLS’s patented fittings under the ZoomLock™ brand, as well as RLS press tools and ancillary Parker Sporlan products with built-in RLS technology. For more information, visit the ZoomLock™ website at http://www.sporlanonline.com/zoomlock.